Everyone has had that moment of transition, as they grow into an adult and struggle to discover their path in life. Moving to a new place, breaking into a new career, leaving your old life behind. Writer/director Matt Jay explores those quarterlife changes in “Any Day Now,” a short film that has been making its way through the film festival circuit at NewFilmmakers in New York and the Salem Film Festival in Oregon. The film follows 23-year-old Sam, a small town girl who moves to New York to pursue a modeling career. But she faces insecurity as she settles into her new life, and feelings of isolation hold her back in an overwhelming atmosphere so different from her home town. Further complicating matters is her relationship with a married politician. 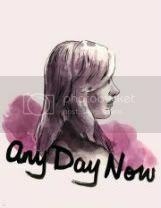 “Any Day Now” looks to be a thoughtful, honest examination of 20-something life, and the many ups and downs on the journey toward self discovery. Intriguing. I’d like to check it out. wow…love how subtle this film is.